If you frequent this site, you know the numerous reasons why it’s better to watch TV without cable. 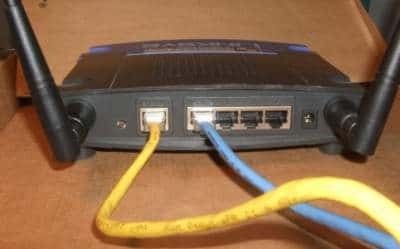 If you have already cut the cord, it doesn’t make sense to rent your router from your provider when you can use your own. Why pay $10 bucks a month, when you can get a great wireless router for $100. This is especially true if you are a Verizon FiOS customer. I have a 50 Mbps Verizon Fios Internet-only plan and I was able to eliminate the coaxial cable in favor of Ethernet and use my router. That means no more router rental fees. I’ve tried this with several routers in the past and it currently works with my Google WiFi System. ONT stands for “Optical Network Terminal” (ONT). It’s that bulky box the Verizon technician installs for FiOS Internet, TV, and phone. This device takes the fiber optic signals coming from the Verizon backbone and translates them for use with devices in your house. If an ONT isn’t already in your house, a Verizon technician will come and install one on your premises upon becoming a Verizon FiOS subscriber. Typically, the technician sets up the ONT to have a Coax output. The Coax cable is then split to a Verizon FiOS router for FiOS internet and various Set Top Boxes for FiOS TV. While this is fine for Cable TV subscribers, isn’t ideal for Internet-only customers like me. What would be ideal is having Ethernet come from the FiOS ONT instead of Coax. Having the Coax output from the ONT requires usage of a MoCA Wide Area Network (WAN) bridge. MoCA stands for Multimedia over Cable, and the Router supplied by FiOS acts as a MoCA bridge, translating the signal to Ethernet for use by devices on your network. Did you know that the ONT Verizon installs has an Ethernet output? Since Verizon wants everyone to purchase Cable TV from them, their default residential install has Coax coming from the ONT. However, by looking at the picture below, it appears the FiOS ONT Ethernet port can just as easily supply an internet connection instead of Coax. The FiOS ONT Ethernet port is turned off by default. Even for Internet-only customers, Verizon will still run Coax to their router and possibly charge a rental fee on the device. I’ve never heard of a Verizon technician offering to turn on the ONT Ethernet port for customers ditching the TV portion of their subscription. The picture is the part of the ONT that is accessible by the customer. However, as the Ethernet port is turned off, simply plugging in a Cat5 cable will not provide you with access to the Internet. You will need to contact customer support and have them turn off the MoCA output and enable the ONT Ethernet port. I recommend leaving the existing Coax hooked up to your Verizon router while running an Ethernet cable from the ONT to your Verizon Router’s WAN port prior to calling support. They may schedule a time for the switch to take place. With both cables plugged in, there should not be any noticeable delay in service when the ONT switches from MoCA to Ethernet. Once the switch to Ethernet is made, these simple steps will allow you to use your router instead of renting a Fios router. 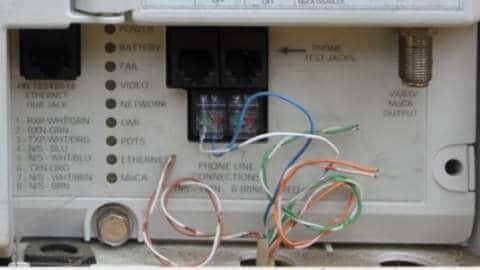 Unplug the coax cable if you haven’t already and verify that you still have access to the internet. Click Network Connections from the menu on the left. Scroll down and click Release under DHCP Lease. Then apply changes. After they apply turn off your Fios router. Turn on your router. It should then get a new address from Fios. You should now have Internet access with your own router. If the support representative refuses or doesn’t understand what you are talking about, simply request to speak to a supervisor. They should escalate the call to the next level of support. Since this functionality is supported by Verizon, someone should eventually honor your request. Once you see the Ethernet output from the ONT is active, you are free to switch out the Verizon router with the router of your choice. This may be a great opportunity to wire your house for Ethernet, as you can use the existing Coax runs to pull the cables through. You may even want to have your main router near the ONT, thus running Ethernet lines from the router to various rooms in the house. This will allow the installation of Wi-Fi bridges at various points in the house, ensuring that there is Wi-Fi coverage in every room. Turning off MoCA is not recommended if you are still provided with Cable TV from Verizon. While their set-top boxes support an Ethernet connection, the video will not come through properly. Using Ethernet from an ONT is only recommended for Fios Internet Only customers. Also depending on the age of your ONT, the Ethernet output may be limited to 100 Mbps. However, if your service warrants it, they should be willing to come out and update your ONT. All newly deployed ONTs support gigabit Ethernet. Check this handy list on DSLreports where they track ONT makes and models.